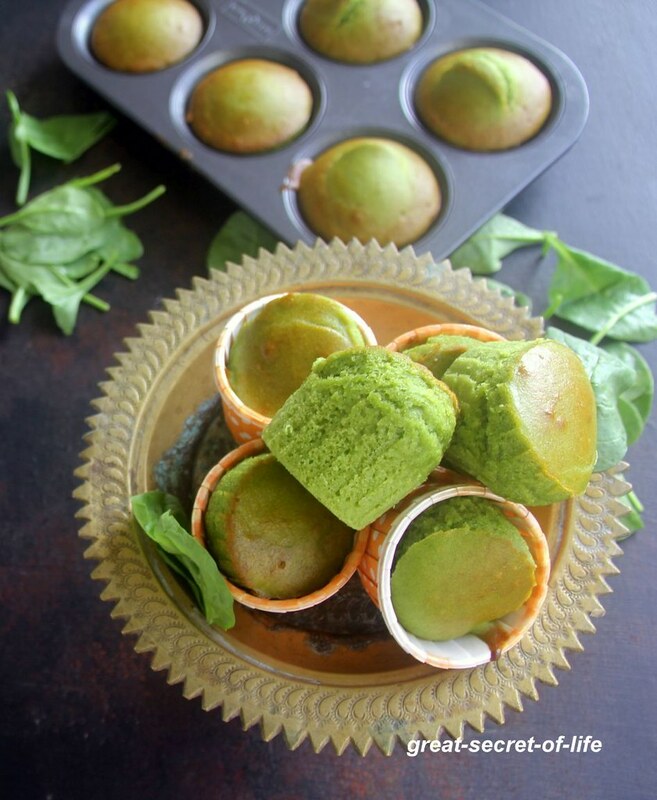 I was tempted to try out a spinach muffin recipe after seeing a picture on Instagram. I was searching for an eggless recipe. I have referred a recipe from here. I made some small tweaks. It came about pretty well. 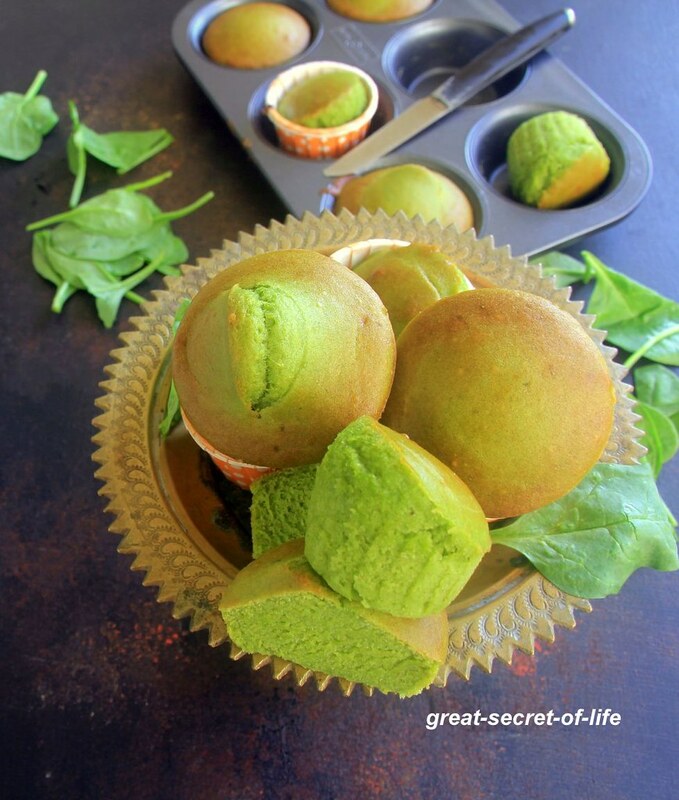 Addition of spinach really gives nice attractive color to the muffin. I have used 50% Wheat flour and 50% all-purpose flour. 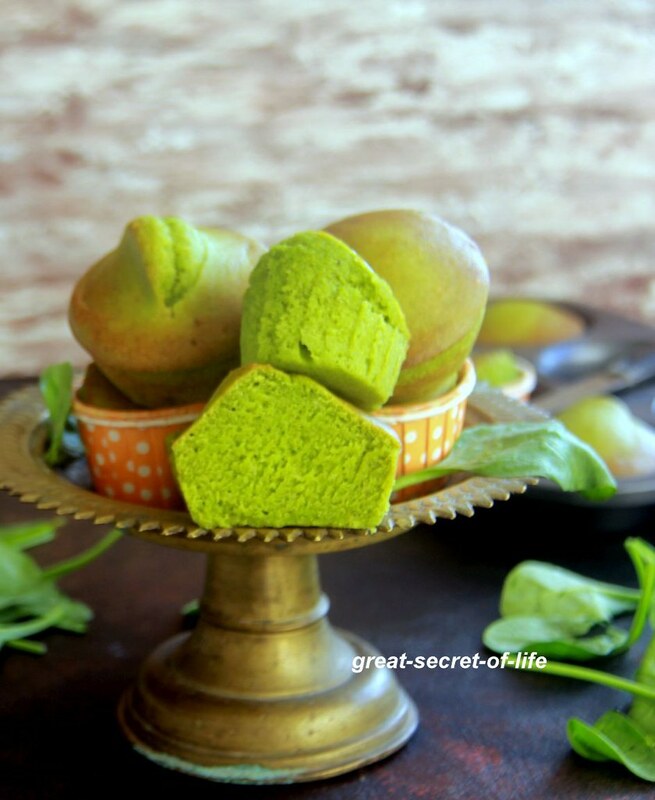 This is one of the simple recipes where a blender is used to mix all wet ingredients. Do try out this. It can be good for a kids snack box for school or after school. Blend yogurt, milk, sugar, and banana. Add spinach and grind it again. Take all the dry ingredients and whisk them. Add spinach puree and mix it. Preheat oven at 180 degrees C°. Bake muffins at 180 degrees C° for 18-20 mins or until an inserted toothpick comes out clean. Let it cool down and enjoy. Btw,what's the amount of spinach to be added, i think you missed in the ingredients..